The last of our new items for Tabletop Gaming Live are from our 10mm Sci-Fi buildings range. We’ve rescaled some more of our existing buildings, from the Research Base set, to this scale. 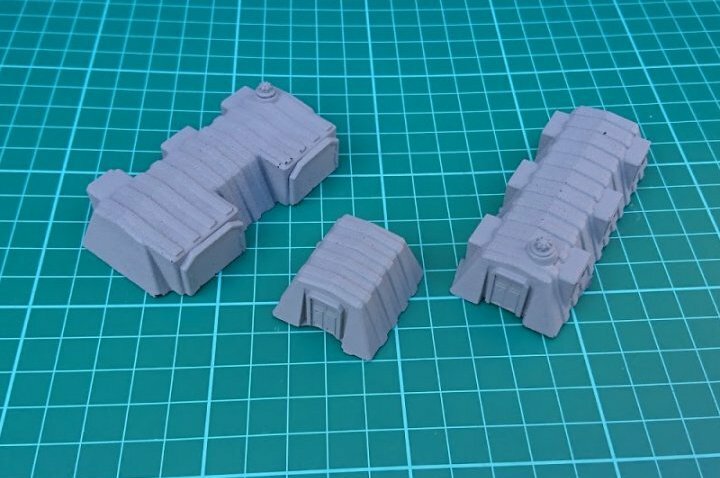 The first three buildings to appear in 10mm are the Accommodation Block, Small Garage Block and Utility Shed. Assuming sales on these are OK, we’ll do the other models in the set later.